The glory and importance of meeting with God in the secret place has been radically undermined in our day. The powers of darkness know where to concentrate their oppositional forces, and perhaps no area has been more targeted than the area of devotional experience in the lives of the saints. By and large, they have struck their target dead on, for in most places we are not producing men and women of prayer. Scarcely do we hear the exhortation to the secret place, for scarcely is it found as a necessity for those leading the Church. We cannot teach men to come into that which we have not lived ourselves, and so the litany of ideas emerge which keep us from the kind of life in prayer that Jesus was hoping to encourage. I have met several times with ministers who have lowered the bar in this area, and for seemingly valid reasons. They say they have learned to pray on the run, or that they’ve developed a more “spontaneous” prayer life. They say that in the thick of true ministry, there is not time for long hours in secret prayer and Scriptural study and meditation. I always leave their presence with a feeling of grief; not so much a critical attitude toward them, but a sense that our preaching and laboring and serving has become clinical and cold, humanly driven and half-baked, for we are not giving ourselves to the Lord in the place where He has most desired to meet us- the “inner room” of fellowship with Him. Jesus gives three simple calls to His disciples in the above verse. While we have the liberty for it, He tells us to take advantage of a place in our homes or in some location where we can present our souls before Him. Have you made a place for this great purpose? We set up rooms for all kinds of specific purposes in our homes. Have we found a place to meet with God? One of the reasons the people of God rarely make it into the life of prayer is that they seek to establish devotional lives in a religious manner, without real desire or holy intention, and they only find the strength for little spurts of reading and prayer. They lack the faith and hunger for God sufficient enough to inspire them to close the door on life, on people, on food, on errands, on entertainment, and even on ministry to others. But Jesus said we’ve got to “close the door” if ever we wish to enter into the heights of God-filled devotion. 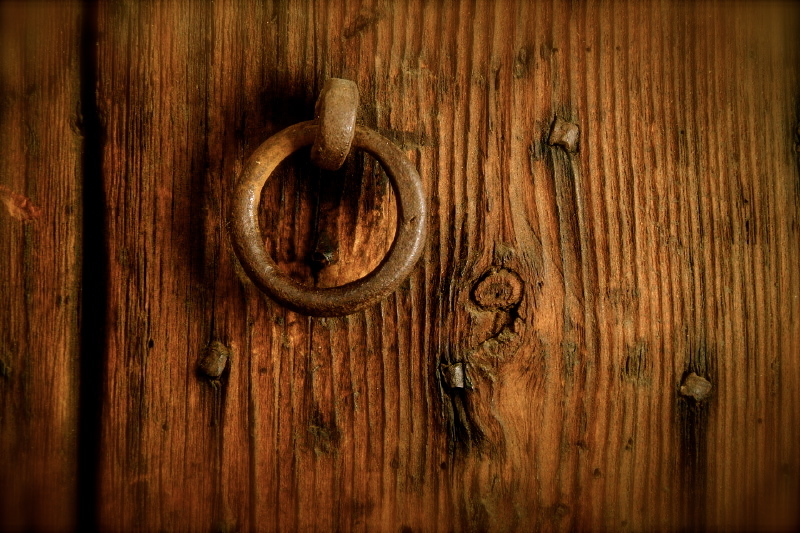 Are you closing the door on the world everyday, enough to engage the living God in secret? The powers of darkness will use any means to distract us from this place, and if we haven’t sufficiently “closed the door” they will have their way with us. We cannot really enter into the depths of prayer until we have prayed. We cannot pray until we have closed the door on the world. We cannot close the door if we haven’t gone into our inner room. It’s the secret life of prayer that lays the foundation for an abiding life in all settings, and this is why Jesus both lived this way, and taught His disciples to do the same. Oh, friend, He will meet you there. He will open up the Scriptures to you. He will shower you with the waters of holy love, purify your soul with fire from above, still your heart and teach you His glorious ways. Once you have broken through the morass and clutter of life, the secret place will become your favored place, and you will wonder why you had neglected it for lesser company or lesser things. He will reward you with all the glorious fruits of communion with Himself, and your joy will be made full. What a life giving and simple exhortation to prayer. Thank you for this. This is such a wonderful yet simple truth. We must use the weapon of prayer to gain our power from Yahweh and then know how to use it to take out the enemy. The Main things in Christianity are the Plain things and the Plain things are the Main things. Every major move of Yahweh was bathed first in Prayer!